Having settled with my family in Jerusalem less than two months ago, I am overwhelmed by the sheer colour and variety of our new surroundings. Every day I fall in love with the breathtaking diversity of Jews and Jewishness across the city of gold, as each community adds another jewel to the beautiful collage of our nation’s capital. This diversity is a central element of our Jewishness and so my wife Renana and I specifically chose to settle in a mixed religious-secular neighbourhood, ensuring that our children are exposed to broader perspectives. This Jewish diversity is also one of the great strengths of the Australian Jewish community. I take great pride in the fact that our community is strong and generous enough to support a wide array of excellent Jewish schools, youth movements and initiatives, each with their own religious standards and educational priorities. Tolerance and diversity are central Jewish values, and inter-denominational cooperation constitutes the backbone of a functional and harmonious community. This is why, when working at Moriah College, we always looked to be inclusive of all the Jewish schools in Australia and even those children that did not go to Jewish schools but affiliate as Jews. From the Mikolot: Voices of the Future international public speaking competition to hosting dignitaries such as the Prime Ministers of Israel and Australia, we have always been proud to host multiple uniforms for these types of events in the Moriah College auditorium. However, such harmony can only exist on the back of certain principles. One of the most important of these is self-definition. Indeed, tolerance worthy of the name only exists if we allow every community the autonomy, in the comfort of their four walls, to define the boundaries of their practice and pursue their own religious ends as they see fit. The imposition of external, foreign standards of practice and doctrine onto the internal traditions of an orthodox community can create intolerance and become antithetical to true harmony. I have always tried to pursue communal coherence and affirm the right of every Jewish denomination to create their own standards, to practice Judaism as they understand it, and to educate their children within the ideas and limits of their unique traditions. A highlight of this for me was when I shared the vision of the Shabbat Project in the Moriah College Drama Theatre and we had rabbinic leaders across the spectrum all nodding to the same idea – something that didn’t happen in many other communities around the world and we were recognised for. We shared the vision and each group decided how to apply it. While disagreeing with the conclusions of some, I accept other movements on their own terms, and refrain from imposing my own attitudes upon their religious standards. I am writing this from the Hillel International General Assembly in Denver after having learned with a range of people and am proud to lead Mosaic United which serves all types of Jews. I believe that this non-judgmental value of tolerance should be consistent. Reform Jews should feel free to celebrate their unique traditions and practices and Orthodox Jews should be free to stay true to their Torah values and Halachic compass. 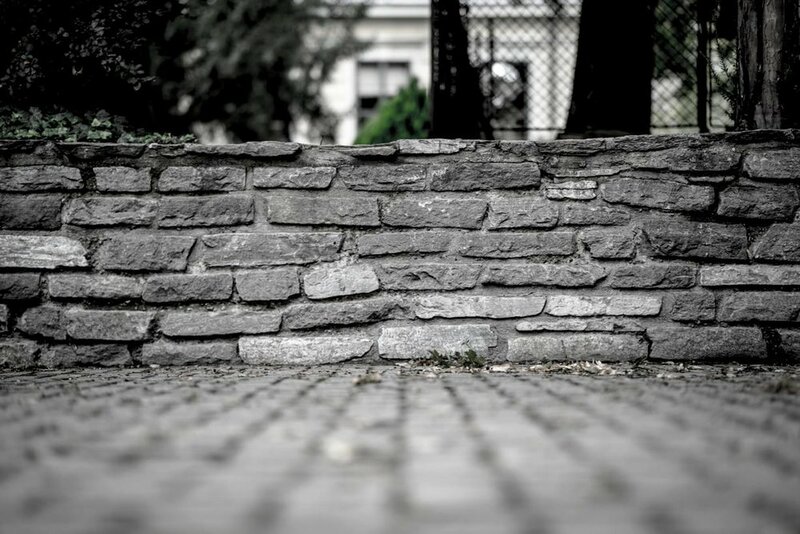 We should be comfortable to set our own boundaries, to circumscribe our practices and customs, and to educate our children in our unique, ancient traditions. This right of self-determination must include its most basic facet: the right to decide who is considered a Jew. Orthodox Judaism is, well, Orthodox. It takes great pride in adhering to the traditions of Halacha, an ancient and multifaceted system of laws, customs and rituals that have withstood the tests of time. While maintaining room for innovation and creativity in application, Halacha provides a religious framework that includes certain boundaries that are not negotiable. In this vein, Orthodoxy defines a Jew in one of two ways; one must either be born to a Jewish mother, or undergo an Orthodox conversion (of which there are many types). This definition has served Judaism for well over two millennia, providing a balance of inclusivity and preservation. We are proud that the Orthodox definition of Jewishness allows for any sincere individual (regardless of ethnic, cultural or socioeconomic background) to convert to Judaism, while simultaneously preserving a clear and unambiguous definition of legal Jewishness. If they are willing to learn and go through the process, anyone should be invited with open arms. I do believe that many of the Orthodox institutions could and should be working harder to make those that are sincere feel even more welcome. Those people that have not had positive encounters should approach one of the many other authentically Orthodox institution that does provide this approach and those that are responsible for negative encounters need to seriously take stock and introspect. Although Orthodoxy has a clear position on this issue, the stance must not be confused with a wholesale rejection of other people. Heaven Forbid. Jews all share a common fate regardless of affiliation. Our enemies do not distinguish between us; we are all painfully aware that the murderer who massacred Jews in a Pittsburgh synagogue six weeks ago and the terrorist who shot at a pregnant woman in Ofra last week preached death to all Jews. Moments of national grief, jubilation, triumph and pain are shared by all. Orthodox Jews must strive to respect, cherish and accommodate other streams of Judaism on their own terms. In response, they deserve to be given the freedom to build and maintain schools in consonance with their beloved traditions and venerable customs. 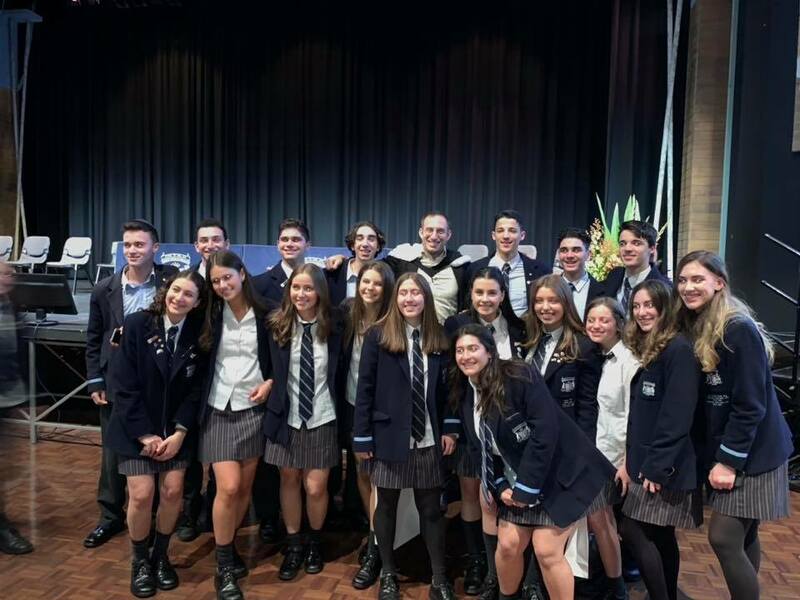 Therefore, an Orthodox school like Moriah College in a democratic society like Sydney Australia, must be free to be genuinely and unapologetically Orthodox. It must abide by the standards set by the intricate system of Halacha, thereby providing a meaningful choice, among other wonderful schools, for Jewish parents and students across the religious spectrum. It would be sad indeed if the Orthodox voice within the great Australian Jewish conversation was to be silenced or shouted down and at the same time, it would be a great shame if the Orthodox ear does not hear the clear cries. I wish to end with a personal appeal to a community that has nurtured me and received each of my own children with open arms as they started their journey into Jewish life. I want to reach out to the entire community and ask that Orthodox Jews will always support the freedom and vibrancy of religious expression, no matter what the affiliation. In return, I would ask other strands and voices to to recognise that adherence to tradition is one of the great strengths of Orthodox Judaism. Moreover, Orthodox institutions benefit Jews of every colour and creed, and it is in everyone’s interest to allow Orthodox Judaism to flourish in our country. The dialogue needs to happen, but in a constructive way employing the dignity of difference. I am confident that the beautiful tapestry of our sunburnt country is colourful and broad enough to continue to include the Orthodox thread. May we all stand shoulder to shoulder in the face of common challenges and opportunities, and work together to build a broad, tolerant and vibrant community for our children and grandchildren – shabbat shalom! While you may not be able to catch the flu through your computer, emotions are contagious offline and online. In 2012, Facebook infamously manipulated the news feeds of around half a million of its users. One group of these users received mainly positive posts in their feed and the second group received negative ones. The group with the more positive feed began generating more positive posts and the other group, posted more negative items. Ideally, of course, we shouldn't be susceptible to the emotions of others - but by playing with the algorithm of their news-feed, Facebook changed the moods of hundreds of thousands of people. Sneeze some positivity into the world of social media and hope that someone pays it forward! As my heart was breaking at the news yesterday, I began to contact travel agents so that I could return to Australia for the funeral. After the first said it was impossible, I spoke to two more. We tried through Asia and Africa, America and Europe, but with less than 24 hours, it became clear that it was not possible. As my sadness intensified, I thought to myself – what would Brenda say. And the answer was – as Stephen confirmed – you are where you are meant to be. We can only control what we can control, and faith is the ability to truly accept that. Brenda truly accepted that. Brenda truly had faith. Boy, did she control what she controlled, with incredible attention to detail. But at the same time, she knew how to let go of that which she could not control. And she taught us to do the same with a tehillim book next to her bed and a positive perspective till the end. When Renana and I came to say goodbye less than a week ago, Brenda was clearly in pain – something she could not control – but she forced herself to smile and make us laugh. Because this is what she could control. She grinned, cracked jokes and spoke so fondly of her adoring husband and the amazing man he is – her beautiful boys and how they make her proud every single day. Her highlight was Daniel’s bar mitzvah where she experienced and shared true simcha with those that matter most to her. She fought through tremendous pain to share so many more highlights with us and she continued to fight till her last breath. Brenda didn’t just fight in the end but the whole way through life. For anyone she loved – for anything she believed in. One of her greatest passions was for Jewish education. I used to call her the tour guide because if I ever wanted someone to fall in love with Moriah College, they just needed Brenda to lead the way. Staff and students, VIPs and strangers – Brenda’s enthusiasm bred enthusiasm and anyone that was graced with her presence fell in love with whatever she was sharing with them. What was her trick? The fact that there were no tricks – she was authentic. Brenda was as real as they come, and she was always true to what she believed in. There are countless families at the school today because of the way she guided them. But she wasn’t just a tour guide in school – she was a tour guide for life. Always seeing the glass half-full, always curating positive experiences and always seeing the good in others. Lots of people retreat in the face of hardship – but not the Jankelowitzs. They saw the darkness as an opportunity to increase light. Each time I looked up before delivering a drasha on Rosh HaShana and Yom Kippur, I was strengthened by her smile. As we were concluding Sukkot, Brenda invited a large group of women to learn with Renana in her sukka and then Steve made sure we could do the same with a group of men a few days later. Their presence, their attitude and their actions were a greater lesson, a greater shiur, than we could provide and truly inspired everyone. People have been doing good deeds because of Brenda even before she passed, and I have no doubt this will continue. So, what now? It has been exactly one year since the diagnosis and what a year it’s been. There can never be enough time on this earth to accomplish everything, but Brenda lived life to the max. Taking advantage of every moment. Whether it was her swims and walks at Bondi or her coffees with her friends, her presence at every communal function, dedication to her job or quality time with her husband and boys who she called her men. And so now, I ask myself again: what would Brenda say? You are where you are meant to be. It is what it is meant to be. She left us too young but managed to achieve more than most do in two lifetimes. And our job is to learn her lessons and continue her legacy. Adam and Daniel, as we discussed together last week – it won’t be easy. And that’s okay. But you have the most incredible mum in the world. And the hugs she gave you will continue to bring comfort. That proud smile she had whenever she laid eyes on you, will be smiling from heaven as you continue to make her proud. And the lessons she taught you will last a lifetime. Stephen, that image of Brenda and yourself, as you delivered your speech together at Daniel’s barmitzvah, epitomizes the meaning of the word love. It was clear to all that you are soul-mates and while you gave your all to her, to her there was nothing greater than you. She passed away on Parashat Noach. The world deteriorated – everything seemed hopeless. But one family built their ark and through that ark rebuilt the world. We have been blessed to have been welcomed into Brenda’s ark. An incubator for growth and meaning. She has taught us so much every single day in every single way. And while just like the news of the flood, the world seemed over with her diagnosis, as her body deteriorated, her soul soared and healed those around her. Now the flood has hit. We cannot imagine life without her. But it is the ark she built – the microcosm of a better world – that will get us through the next stage. She has built the foundations, laid the planks and this will always guide you on the journey that is life – stormy seas, still waters and everything in between. Hashem natan – Hashem has given [so much], v’Hashem lakach, Hashem has taken away [so much]. Yehi shem Hashem mevorach. May the light that Brenda brought into this world continue to shine and inspire us – tehey nishmata tzrura b’tzror ha’chayim – may her soul be bound up in the bond of eternal life. Thinking of you in the heart of Jerusalem, hamakom yenachem otchem b’toch sh’ar avelei tzion viyerushalayim, may the Almighty comfort you among the other mourners of Zion and Jerusalem. Many of us left shule and started building our Sukka straight away, going from mitzvah to mitzvah as we prepare to leave our solid homes and live in these temporary structures. Sukkot is a week-long carnival of unusual customs and curious ceromonies - a time of year where we engage more heavily in the practical element of Jewish living than any other. We abandon our homes, eat lengthy meals in precariously constructed huts, vigorously wave vegetation in shule, dance ecstatically with the Torah and spend a week in a carefully constructed cocoon of festivity and gratitude. One particularly delightful Sukkah custom is that of ‘inviting’ our ancestors to dine with us – the ushpizin. In addition to family and friends, a tradition has developed whereby on each night of Sukkot, a different Biblical figure is welcomed to dine with us at our table, and we tailor our conversation accordingly. Our ‘guest’ on the first night of Sukkot (the most significant night of the festival, according to Jewish Law) is none other than our patriarch Abraham, the founder of the Jewish people and the Biblical exemplar of the attribute of Hesed – loving-kindness. Indeed, upon reflection, we can actually see that the figure of Abraham neatly represents the entire festival of Sukkot, and embodies one of the primary functions of the enigmatic ritual of the Sukkah itself. In one of the most symbolically poignant stories of Genesis (ch. 18), Abraham is depicted as waiting at the entrance to his tent in the heat of the day. Picture the scene: a 99-year-old man, during the sweltering midday heat of the desert, not long after a painful operation, is sitting in his tent, bristling with excitement. Why? He senses an opportunity for an act of kindness, to invite some weary travelers into home. Despite inhabiting a tent - the poorest and most makeshift of dwellings - the prospect of enabling others to share in his blessings, and the ability to bestow goodwill upon others by inviting them into his humble abode, animate our benevolent forefather. Abraham, the founder of everything Jewish, embodies the ethos of Hachnasat Orchim - inviting guests. On Tuesday night, we will be returning to our true core. Throughout the tumultuous eras of our Jewish existence, anti-Semitic tormentors have accused us of many awful things. One of the most damaging and disturbing accusations was that Jews were deceitful, that they would promise something and then blithely refuse to honor their word. Such accusers would sometimes point to the prayer of Kol Nidrei – a short, solemn and haunting service at the start of Yom Kippur, in which the entire congregation collectively annuls any vows that they had made during that year – as evidence that the duplicitous Jews treat their promises as ephemeral and expendable. That the Kol Nidrei annulment only applies to promises undertaken towards God, not towards other people, is a fact that these slanderous accusers conveniently missed. Nonetheless, the question remains. Every Yom Kippur night, millions of Jews around the world make their way to their local shule, ready for a day of intense prayer, physical withdrawal and profound introspection. Puzzlingly, however, we begin the most introspective day of the entire Jewish calendar with a dry legal formula (albeit beautifully chanted), declaring all of our promises to be null and void. To be sure, there are historical reasons for this practice: for many centuries, countless Jews across the globe were forced to practice their Judaism in secret, and would have to begin their clandestine, dangerous Yom Kippur services by declaring that their public allegiance to other religions was false. This historical legacy alone is powerful enough to make us pause for thought. But in our day, where we live as proud, free Jews, under full protection of the law, what kind of public promises do we feel compelled to annul? The answer, sadly, is ‘too many’. Throughout our daily lives, we all swear implicit allegiance to a whole host of foreign ideas and concepts that do not correlate with who we truly are. We bow before the gods of financial success, social popularity, or physical perfection. Far too often, these allegiances push us to mistakenly prioritize the urgent over the important, the fashionable over the faithful, and the ephemeral over the eternal. Such loyalties envelope us in a robe of impeccable respectability but obscure the simple beauty of our true inner selves. Yom Kippur is the antidote to all of this. On Yom Kippur, we are ourselves. We eat no food, disconnect from technology, wear no makeup, attend no social events and dress in basic white. To achieve this purity, we must first disavow (even if only temporarily) all of our outside pressures and influences, stating clearly that our essence remains loyal to those elements of life which are non-negotiable: our values of faith, truth, justice and love. Kol Nidrei is a crucial step in this act of Teshuva, of returning to our untarnished essence. It is the moment where we stand exposed and vulnerable in front of God, taking stock of our choices and actions while asking Him to judge us favorably. This inner return to our true core is the what this holy day is about – and it is this that will, please God, secure us blessing in the year and a year of blessing. In today’s world, the term ‘multi-tasking’ has become a misused word rather than a valued skill. What most of us are doing when we talk about multi-tasking is actually switching tasks. If you are having people over for lunch, you will have to consider multiple things; how many spaces you need, what food you will serve, when and where you will go shopping, etc. You have to focus on multiple tasks in order to achieve one overall objective. This is multi-tasking. Switching tasks on the other hand doesn’t have a common focus. Switching tasks, like checking Facebook while emailing your friend and sitting in front of other people having coffee, slows us down dramatically. Psychologist Megan Jones at the University of California, Berkeley, had author Alex Soojung-Kim Pang count from one to ten as quickly as possible. She then asked him to recite the alphabet from A to J. He did both in 1.5 seconds. Then, she asked him to alternate between numbers and letters – “one, A, two, B” and so on. The switching took the author 4.5 seconds – three times as long to complete. It is okay and even beneficial to multi-task when each task is part of the same overall objective. However, switching tasks, in today’s super busy environment, is never a good idea as we are ultimately taking 2 steps back in order to try and take one step forward. A donkey doesn’t have the grace of a horse, the height of a camel, or the personality of a dog, but has a well-earned reputation as a short, graceless, dull beast of burden, only useful for the simple task of carrying heavy loads. Yet in this week’s Parsha we learn that even this lowliest of creatures could see the angel of God where Bilam, one of the greatest prophets could not! This simple beast had maintained a basic moral clarity and could identify an angel when it stood in front of him. His master, despite all his fame, wealth and glory, had been eager to use his Divine talents for the worst possible means. Bilam had lost his moral compass, his ‘vision’. All his amazing prophetic abilities became useless the moment he chose to utilise them for evil. Having sold his values, Bilam could no longer see the angels guiding his path. The story of Bilam’s donkey has never been more relevant. It serves as an annual reminder of how we should go about choosing our leaders and role models. We must never be blinded by ‘celebrity’ status. Rather, we must judge each person by their character, their moral standards, and their efforts to make the world a better place. Because any human being who chooses to violate basic standards of moral decency, (even if they have reached a level of prophecy comparable to Moses himself) is inferior to a donkey. As parashat Balak is approaching this Shabbat, may we all be able to maintain our moral clarity, and perceive the angels along the way! One day, a small family crisis erupted when a little boy realized that he’d forgotten his stuffed giraffe (Joshie) at the Ritz-Carlton hotel. The father quickly contacted the hotel staff and requested they send the giraffe as soon as possible and he also asked whether, in the meantime, they could send a photo of Joshie so that his son could be comforted with the knowledge that the giraffe was safe. Well, the Ritz-Carlton did far more than send the boy a simple photograph of Joshie; in fact, they sent a binder full of photos – Joshie lounging on a chair next to the pool, Joshie riding a golf cart, Joshie getting a spa treatment, hanging out with the hotel parrot and other fun activities at the hotel. By going above and beyond expectations, the Ritz-Carlton created a memorable experience that the boy and his family won’t forget soon. Psychologists Roger Schank and Robert Abelson describe this as breaking the script, and it’s a useful way for businesses to create lasting bonds with customers and, more importantly, for families to learn with one another. For any given situation, there’s a typical script of how events unfold. Let’s say a customer orders a burger and it’s delivered cold, following the standard script, the waiter apologizes and the customer leaves a smaller tip than usual. But if the restaurant wanted to break the script, it could apologize, offer to cover the customer’s meal and give him a free dessert as well. This unexpected offer happened to me last week at Wolf and lamb in New York and that is why I am giving them a mention here and will go back there again. The bakery chain Pret A Manger implements a non-traditional strategy by incorporating the element of surprise into consumer elations. They allow their employees to give away a certain number of products to customers each week. So, if a customer comes in who looks like she’s had a bad day, the staff behind the counter can cheer her up by giving her a free cinnamon roll. I too like to empower my colleagues with the opportunity to break the script in their day to day encounters and I always learn of great results! The unpredictability of this random act of kindness makes it a win-win situation: the customer is happy and, thus, the business increases its chances of seeing them again. Why can't I think for myself anymore? When we used to learn at school, a question was an adventure and we tried to piece together bits of information to form an answer, often not fully completing the puzzle. Now Google does it for us, scanning the web to pull an answer together in a matter of seconds. When we find the answer we have been looking for, we stifle our curiosity and our ability to creatively answer the question. Curiosity is triggered when we get some of the information we're seeking, but not all. This creates a curiosity gap, which encourages us to keep looking for the full answer. But, as Google gives us all the information immediately, this gap is closed too quickly. Creativity comes from connecting seemingly unrelated ideas and merging them into something new. Just take Steve Jobs. During his life, he pursued a number of unrelated interests, from Eastern philosophy to Bauhaus art, calligraphy to poetry – and by bringing them all together, he was able to create Apple’s unique products. Google’s eerie precision makes it less likely that we’ll stumble onto things we didn’t know we were interested in. Social media platforms and different technologies that feed us exactly what it believes we are looking for doesn’t help the cause either. So find ways to get curious, creative and rediscover the art of asking questions!